Roughly cut some of the peppers. Put the peppers in a very clean glass and cover with oil. Add the cachaça. Mix well, close tightly, and let the mixture rest for a couple of weeks. Use to season fish, black beans, soups, etc. Be careful, use at your own risk. 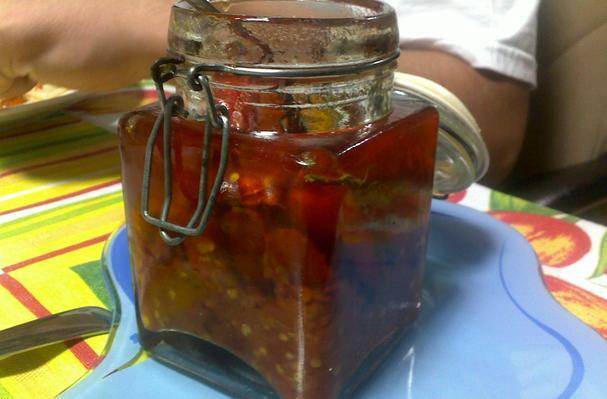 Malegueta pepper infusion is widely used in Brazil specially to season typical dishes like moqueca, feijoada, mocotó, etc.